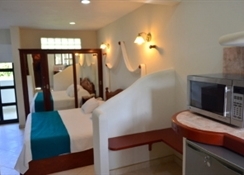 Set in a unique, intimate and relaxed atmosphere, the Villas Coco Resort Isla Mujeres is an ideal place for a memorable vacation. This marvellous landscape is only a few metres away from astonishing white sand beaches that enjoy balmy weather all year. The 16 spacious guestrooms provide luxury and privacy, and boast a terrace as well as a Jacuzzi – perfect for a relaxing vacation. You also have the opportunity to explore the Isla Mujeres Island, as the hotel provides golf carts on rent to its guests. The moment you arrive at the Cancun Airport, you will have zero stress, as the hotel’s staff members will be welcoming you to this magnificent paradise and taking you to the hotel. 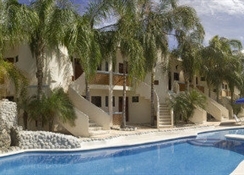 The Villa Coco Resort Isla Mujeres is set in one of the best locations of the island. 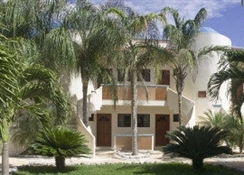 It is just 4-minutes’ walk from the white sandy beach, making it convenient for beach lovers. One of the must-visit places here is the MUSA Underwater Museum, which is 32km away. The Cancun International Airport is about 38km from the resort. The hotel houses 16 comfortable suites that will give you ultimate comfort and privacy. They are radiant and warm boasting a Jacuzzi and a terrace creating a balanced and tranquil atmosphere. 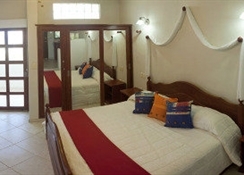 The rooms are an ideal paradise for couples looking for a romantic setting. 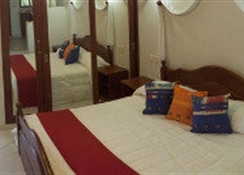 All the rooms have the necessary amenities that include private terrace, kitchenette, microwave, coffee, cable TV, safe, cleaning, bathroom amenities, laundry service, Wi-Fi, king size bed, minibar, hammocks on demand and air-conditioning. During your stay at the Villas Coco Resort Isla Mujeres, you get to explore several restaurants and bars close by. The Maria’s Kan-Kin Restaurant, about 3km from the hotel, offers Mexican, Caribbean and international cuisines along with delicious seafood. Head to the Capitan Dulche, which in less than a kilometre away for some exciting seafood and alcoholic & non-alcoholic beverages. Apart from this, you can also utilize the hotel’s in-room service for breakfast, lunch and dinner. The hotel's sole restaurant Lounge La Palmera serves continental breakfast to all its guests. There are ample sports and leisure facilities in and around the hotel to keep you engaged. 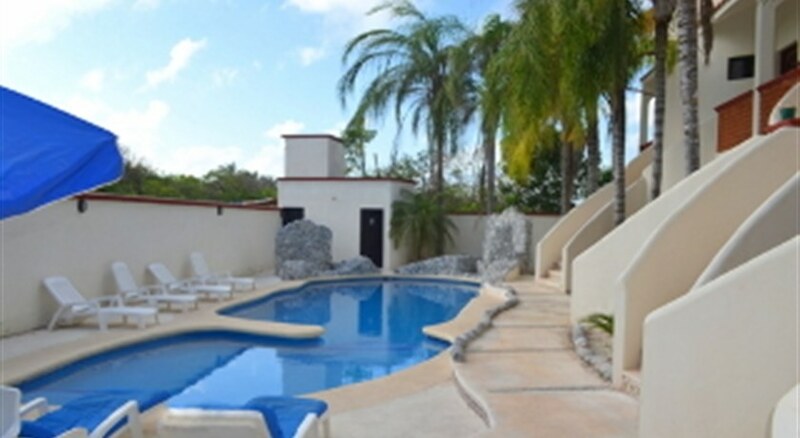 The hotel’s outdoor swimming pool is the perfect place to take a relaxing swim under the warm and balmy Mexico sun. Or, you can relax on the sun loungers dotted across the pool while having refreshing drinks. Hit the MUSA Underwater Museum, which can be explored while snorkelling. It has five hundred life-size sculptures, which makes it one of the best underwater artificial museums in the world. Head on over to the Dolphin Discovery, which is only 4km from the hotel. Here you can swim with the dolphins and other marine species.